Snoring can worsen with age, but there are things you can do to reduce your risk. It’s also important to remember that young people snore too. “Snoring is an old person’s problem”. This statement is both true, and very false. There’s no shortage of changes that take place as we age, and a propensity for snoring is one of them. Whilst age is a significant risk factor for snoring and sleep apnea, increasing numbers of young people and even children find themselves snoring, or even gasping and choking through the night. Snoring’s association with age is exactly that, an association, not an inevitability. If you’ve found your snoring worsening with age, there are a few things that you can do to. Additionally, if you feel you’re too young to be snoring all the time, you’re not alone. It may be time to carefully consider its possible causes. Why do we snore more as we age? Our sleep changes as we age. We find it harder to fall asleep and stay there, get less sleep in general, and crucially, we’re likely to snore more. Some sources show that fewer than 10% of 17-29 year olds say they frequently snore, whilst more than 40% of over 50s do . When it comes to the more dangerous prospect of sleep apnea, some 18% of people aged 65 and over are having at least 10 apneic episodes per night compared to only 3% of under 45s . Weak airway muscles are the main reason for snoring more with age. Snoring happens when the tissue in our airways start to vibrate because it is too loose. Just as skin loses tension with age and muscles in our bodies become weaker and less toned, so does the airway. This loss of tone is particularly true of the soft palate, one of the main sources of snoring noise . Throughout earlier life, women tend to snore less than men. This gap is narrowed once women reach the menopause as various physiological changes make you more likely to snore. Easier to gain weight. A slowed metabolism and overall decrease in physical activity make weight gain go hand in hand with age. Weight gained on the neck and midriff heighten the risk of snoring. More medication. Drugs to treat high blood pressure, heart conditions and even simple pain relief medication can lead to a congested nose which makes snoring more likely. Sedatives also contribute to enhanced relaxation of the soft tissue of the throat. Reduced immunity. Lots of snoring can be caused by a blocked nose; blocked noses are often the result of a cold, something you might be more vulnerable to as you age . What can be done to combat age-related snoring? Mouth exercises. The best way to get tone back to those weakened muscles in the throat is to exercise them. Check out our guide to anti-snoring mouth exercises, an anti-snoring tactic which can be particularly helpful for older snorers. Mouthpieces. Another way of tightening that loose tissue is to use a mouthpiece which brings your jaw or tongue forward. Find out more about the right sort of mouthpiece for you with our buying guide to anti-snoring mouthpieces. Treat your blocked nose. Your nose can be blocked for a number of reasons, so there are a multitude of solutions. See our guide to snoring and nasal blockage to see what’s stuffing you up and what you can do about it. Lose some weight. Easier said than done, yes. Impossible once you reach a certain age, no. Often, effective weight loss and retention needn’t involve a hard-to-maintain crash diet. The cumulative effect of many small, sustainable and positive lifestyle and diet changes can make a big difference. Have a look at our SMART strategy for weight loss. 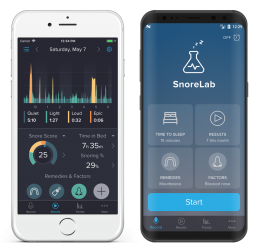 Despite the evidence for snoring increasing with age, we and many SnoreLab users testify that snoring is not a problem confined to older people. Yes, fewer young people snore when compared to the older population, but this “fewer” still constitutes thousands upon thousands of people . Snoring has many causes and we are increasingly seeing that snoring and sleep apnea is a problem for not only adults, but adolescents and children too. There seems to be some conflicting numbers when it comes to young adults snoring. One thing however is certain: snoring is not an “old people problem”. A survey of 12,000 high school students in Korea revealed that a startling 22.8% of them snored, with just over 1,000 even reporting experiencing sleep apnea . The prevalence of snoring in university-age young adults is higher than many think. One study asked 2,200 California university students aged 18-25 about their snoring. 30% reported snoring . Even anecdotally, whilst scrolling through SnoreLab’s Twitter feed at the start of the university semester in October, we see many unhappy students lament the snoring capabilities of their new roommate! Younger people usually sleep alone so aren’t identified as problematic snorers. Snoring and sleep apnea present problems for younger people just as they do for older people. As well as the risks to your physical health that sleep apnea poses (which can present more of a problem in young people), snoring amongst young adults has shown to have a negative impact on other facets of life such as mood regulation, driving safety and even academic performance . One study assessed the likelihood of medical students to fail their exams based on whether or not they snored. Non-snorers had a failure rate of 13%, whereas 42% of the frequent snorers failed their exams . Of course, the best treatment for snoring depends entirely on its causes, of which there are many. That said, anti-snoring product companies are putting more emphasis on the importance of snoring in younger people. Good Morning Snore Solution have recently introduced a tongue retainer for young adults aged 16-25, based on an assumed difference in facial shape and size. Tongue retainers work by preventing your tongue falling back and blocking your airway whilst also tightening the slackened tissue in your throat. Whilst many will be skeptical about how the mouthpiece is actually tailored specifically to this group of people, it is great to see companies in the anti-snoring marketplace taking snoring in young people seriously. If you don’t know where to begin with your snoring, have a look at our 7 ways to stop snoring naturally and our 7 recommended snoring aids. Studies estimate that around one in ten children snore. On top of that, 1-4% experience obstructive sleep apnea , a condition all too frequently associated with older people. Snoring in children can be relatively normal, but if they are snoring consistently throughout the night for four or more nights a week, it needs to be taken seriously . Sleep deprivation is the biggest problem for children with sleep disordered breathing. Children need lots of healthy sleep to develop well. Studies have linked sleep fragmentation with ADHD, and adolescents presenting to mental health services show a high prevalence of sleep disturbance . Children have slightly different airway anatomy to adults. A common culprit for snoring in children is the adenoids – glands located near the soft palate which usually shrink and disappear later in life along with the snoring itself . For that reason, surgically removing these glands is often an effective treatment method for children with obstructive sleep apnea. 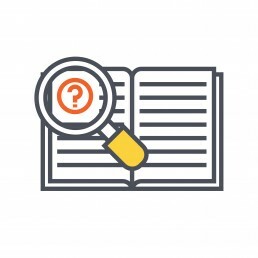 Some research indicates that children’s stunted mental capabilities, often attributed to the sleep disturbance that accompanies sleep apnea, reverses completely 3 to 10 months after surgical removal of the adenoids . Not all children will show an improvement after this type of surgery. Much like in adults, snoring can be caused by other factors. For example, obese children and children with certain craniofacial abnormalities, show less improvement . Age can indeed make you snore more, but snoring is not just an “old people problem”. Sleep patterns change with age but one thing remains constant: good sleep is important. If your snoring is impacting upon your sleep or health in any way, at any age, it needs addressing. Understanding and treating snoring earlier in life puts you in a better position to not snore further down the line. Celik AO, et al. Clinical study: Prevalence and risk factors of snoring, obstructive sleep apnea symptoms, and excessive daytime somnolence in Trabzon. KBB-Forum 2010; 9(4): 78-87.